We're here for you! Please feel free to contact us with any questions or requests. Subscribe to our eCommunication list today. 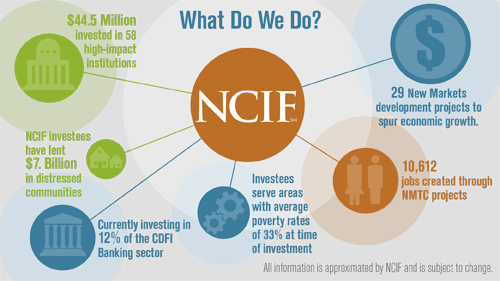 I would like to receive monthly e-newsletters with updates on NCIF and the mission-oriented banking industry.